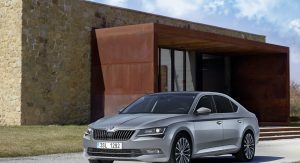 Skoda’s commitment to electrification will be led by the plug-in hybrid version of the Superb, which is expected to arrive next year. 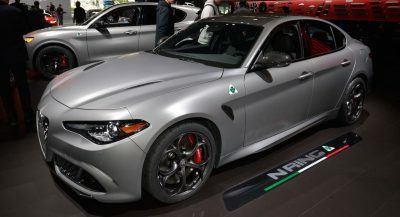 The company’s flagship saloon/estate will combine a 1.4-liter petrol engine with an electric motor, making a total of 215 horsepower, says AutoExpress, quoting details released by the brand’s senior management. 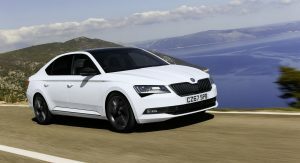 If those numbers seem familiar, it’s because the Skoda Superb PHEV will use the same powertrain as the Volkswagen Passat GTE. 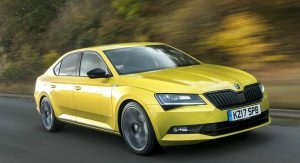 However, unlike its German cousin, which has a 9.9kWh lithium-ion battery pack that allows it to travel for up to 50km (31 miles) on electricity, the Skoda will get a zero-emission range of around 70km (44 miles), thanks to a 13kWh battery. 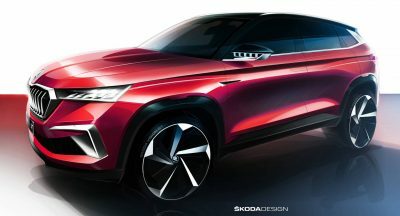 If there is enough market demand, then the Czech automaker could use the same recipe for the Kodiaq too, or a scaled down version to fit the smaller Karoq and Octavia, according to their chief of powertrain, Martin Hrdlicka. 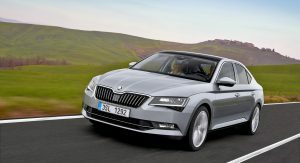 It’s unknown whether Skoda will apply the PHEV badge on the Superb, or if they will sell it with a different moniker, but either way, the D-segment car will be joined eventually by full EVs. 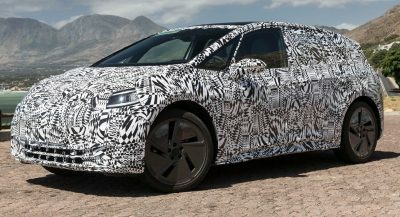 One of them will be based on the upcoming VW ID hatch, and will debut in 2020. My dad has the GTE PASSAT…I Really don’t see the point with the car. Not that fast and not even economic as a diesel. Just expensive. 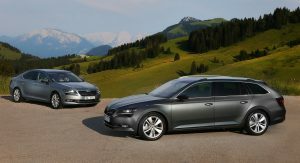 So, to test the waters, Skoda will be offering it in a car where diesel comfortably outsells the petrol variants. Yet the Kodiaq, which has a much broader range of petrol and diesel sales, it’d make 10x more sense to sell it in this instead. 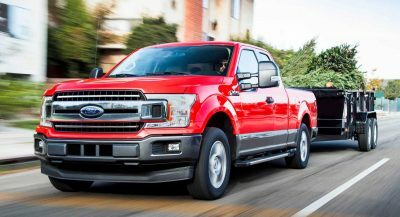 Plugin hybrids offer more torque and better fuel consumption than petrol engines, which should appeal to some diesel buyers. 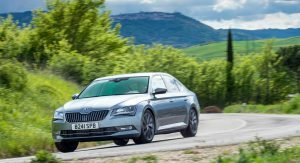 It makes sense to use the Superb, since the drive-train doesn’t need to be altered, given the Passat uses the same MQB B platform. 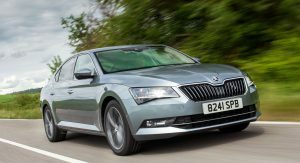 The Superb is also far better to drive than the Kodiaq. But why not put it in the Kodiaq first? It’s an SUV so it will have more than double the appeal, especially as the 1.4 TSI petrol makes up almost half of overall Kodiaq sales. 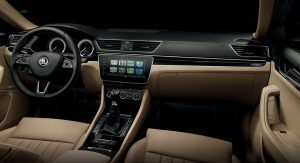 Well, it’s a lot cheaper to take the technology out of the Passat GTE and use it in the Superb, since they are largely the same car underneath. I understand what you mean about sale volume in the SUV segments, but given the Kodiaq is already so popular, another variant will likely put pressure on the assembly lines. 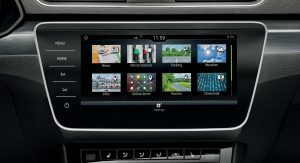 Skoda is selling every Kodiaq it makes – waiting times have gone up to 8 or 9 months in some countries.The Superb still does well, especially in China, where plugin hybrids are really catching on, so it really does make sense. 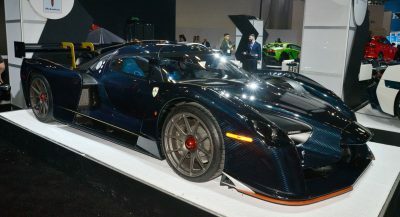 I must say this car looks Superb.